Nice set looks to be 70-80% Ex-Mt, the balance is almost all Ex or Ex Plus. 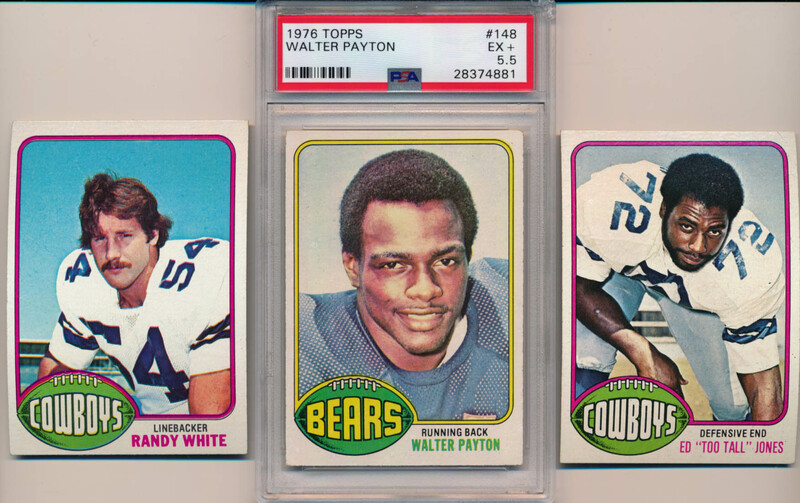 The key Walter Payton RC is a well centered PSA 5.5. The other key cards are as follows: 75 Bradshaw Ex-Mt, 128 Fouts Ex-Mt, 140 Swann Ex-Mt+, 158 White RC Ex-Mt, 220 Lambert RC Ex+, 395 Staubach Ex and 427 Jones RC NM.